The installer weighs 1.23 GB. It includes shorcuts for both Desktop and Start Menu, and a simple uninstaller. Mod size is 2.30 GB (.pff + .bik videos). I suggest that the mod be installed in another DFBHD/TS game directory. Have a copy for stock DFBHD/TS and other mods, and a separate one just for my mod. Future addons (like edited sp missions) will require editing stock .pff files, thus corrupting the game for legit on-line use on NW. Did you change the main load screen to the original BHDTS load screen in the up-date? Because I deleted my copy of my nova-logic folder and re-copied it and installed mod again and now my mod load screen is bhdts load screen the green load screen,and before it was orange and the nso-cine trn don't show in med,or did I do something wrong?. Yep, I guess you did something wrong because the menu hasn't changed, all in all the original bhdts menu is rather crappy compared to mine new one, so no reason to restore the stock original one. Regarding the "cine_nso" terrain, it was just renamed to "cineg". If you still have the bug, just look for a BHD_main.tga file in the ones that are zipped, let me know if you manage to fix it. OK buddy I got it, good to go now lol ty. Guys, the link above is no longer available, the old mod had to be removed from my DropBox account. New one is on the way, will be released this weekend, the installer weighs 1.23 GB. It includes shorcuts for both Desktop and Start Menu, and a simple uninstaller. Mod size is 2.30 GB (.pff + .bik videos). Attention everybody! Mod has finally arrived, link is above in the first post. Let me know if it works okay. If there are no problems, I'm going to take a bit of a rest, I have RL stuff to take care of now. See you soon... and thanks for all the support! I've been testing it most of the day, no real issues at this time. Install went fine! but I thought something was wrong because it looked like old beta mp UI. downloaded most of the maps and have played through parts of them just to make sure all is good.. still have a couple of maps to check out. Congratulations Blaze, it's good to see you have finally published your product. The install went well, no worries there. It took 2 and a quarter minutes to install on my fastest computer. I would have liked some new missions showing me some of the Mod content but I know they are coming. I spoke with Eagle Eye last night. He explained to me about converting JO/DFX to BHD. It is a lot of work, even if you are an experienced model maker. He has all the files you need and will talk you through the steps. I will have to setup a meeting at a time that suits you both. This means you will have to install TeamSpeak 3 and join us online. There is too much info to be typing, so verbal is the go. @ buzzman47 The UI was made by me using the bits from the very first beta demos of DFBHD, so don't worry, that is how it should be. In the future I 'll have to re-work it, I hate the low-res buttons and other stuff. But all in all way better than the Team Sabre UI IMHO. Regarding maps, most should work, but I'm afraid to tell that some big maps sometimes lock and experience an incredible framerate hit, it has something to do with the game executable which can't use more than 60 MB in cache of skins/textures. I hope in the future a hacker will come and mod the executable, thus saving all my efforts! Regarding maps, I have an additional sp map in the works which I already told about in an old thread, it's totally revamped now, but has some bugs that need to be addressed. Moreover, sp maps of the stock DFBHD/TS are being re-worked, some are okay, some still have bugs. So new maps are not going to happen very soon I'm afraid, I'm counting on you mappers though. I'm not a map creator, rather a mission editing expert I'd say, like Baldo, but he's better than me! I have the download ready but need some info to add to the description. What is the mod about sort of stuff. That was pretty neat buzzman47,ya gotta blow all the crate's also. This mod is meant to improve the game graphics and gameplay; it includes better looking skins for vehicles, weapons, buildings, soldiers (for instance the Rangers in the second Team Sabre mission in Colombia finally get woodland camo instead of the stock 3-color desert); it corrects most of the annoying bugs and glitches in single player maps (misplaced objects are removed, missing sounds and/or wrong voiceovers are corrected); it adds a large array of different sounds to make each weapon sound unique (for instance the light machine guns now use three different reloading sounds like in Joint Ops). Beta 2 now includes additional terrains, all the terrains from DF2/DFLW/DFTFD/DFX/DFX2/JO/JOE/Armored Fist 3/Comanche 4 have been converted and reworked for the DFBHD game engine, for a total of 2.00 GB of contents. Future releases will address other bugs and hopefully will include more items for map mapmakers. @buzzman47 Thanks for the video! I'm watching it now. Just curious, Any new decorations, buildings, vehicles etc? 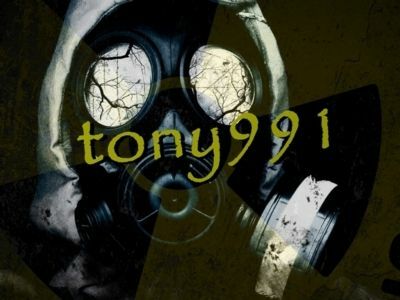 Welcome, tony991. In the mod atm there are only a few new vehicles (Land Rover, new Chemical Trucks, Chinook Helos), characters (SAS temmates in woodland camo, etc.) and some new fixed and/or missing buildings (the original DFBHD Team Sabre listed many items, some totally missing). Everything you see in the MED is available, all missing 3di models listed in the items.def have been removed and/or replaced. You'll find new revamped skins for stock characters, vehicles, buildings, weapons, plants, terrain colourmaps, new HUD/UI elements and menus. This Beta 2 release is more interesting for the large array of new terrains available. Indeed in the future I plan to add more items if/when possible. @ 2DNED I was thinking that the mod description at Nova-Outpost doesn't do the justice to the mod itself. As it stands now, it seems that Beta 2 simply adds new terrains to the old Beta 1 version, while instead there are newly reworked skins, sounds, items, etc. If you have any suggestions, I give you full authority to change the description any way you like, you contributed so much to the mod, it's the least I can do. BTW, is it necessary to have the old Beta 1 version still available for download? Beta 2 surpasses it in every aspect. @Blaze, i will see what i can do to reword it, i was wondering if you still wanted the old mod up. Sry not been around much, RL has been a bit busy of late. Don't even mention it. I knew you were busy, and RL always comes first, so don't worry. Take care of yourself in the meantime, I too will be busy in the next days. See you all guys soon. In the meanwhile, I'll be looking forward for any maps, we have so many terrains now. I'll try to complete my re-worked stock sp maps and an additional one in the coming weeks. @Blaze, i was wondering if you still wanted the old mod up. Do you have a link to download of the newest version of your mod? In the event of a nuclear winter, don't eat the snow! I also have a DropBox link, just check the first post in the first page of this thread. @2DNED Many thanks, mate, for taking care of the old mod version. I hope mappers will start making maps over our new terrains! So next phase of the mod development would be to convert DFX/JO models to DFBHD. It's not easy at all, so atm I am thinking that I'll add DF1 items from other mods which were converted to DFBHD. The models are low-poly but will be simple place-holders for the time being. But this will be done in the future, now I need some rest due to RL. I wish I could release the sp mappack (the edited stock sp missions plus an additional new one) I was working on, but it is buggy here and there. With time I hope to polish it a little for a test release. I'm having an issue with the installer. I clicked on the dfo_inst.exe then a box popped up saying "this file contains invalid data." Nobody has reported this issue before. Where did you download it from, DropBox or Nova-Outpost? Try one link or the other and re-download, keep in mind that the installer is 1.23 GB. DropBox link is in the first post of this thread. Let me know if you have the issue once again, I haven't tried downloading it from Nova-Outpost, but I can tell you that the one at DropBox works for sure.